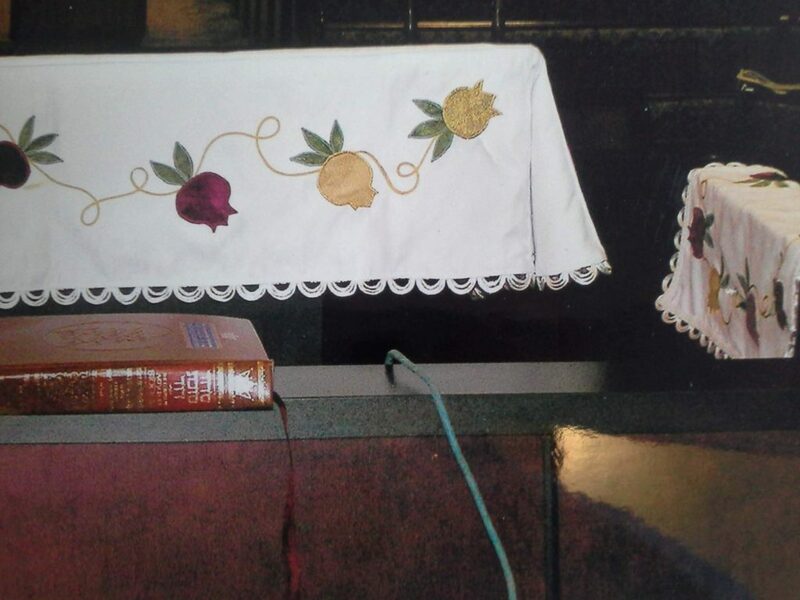 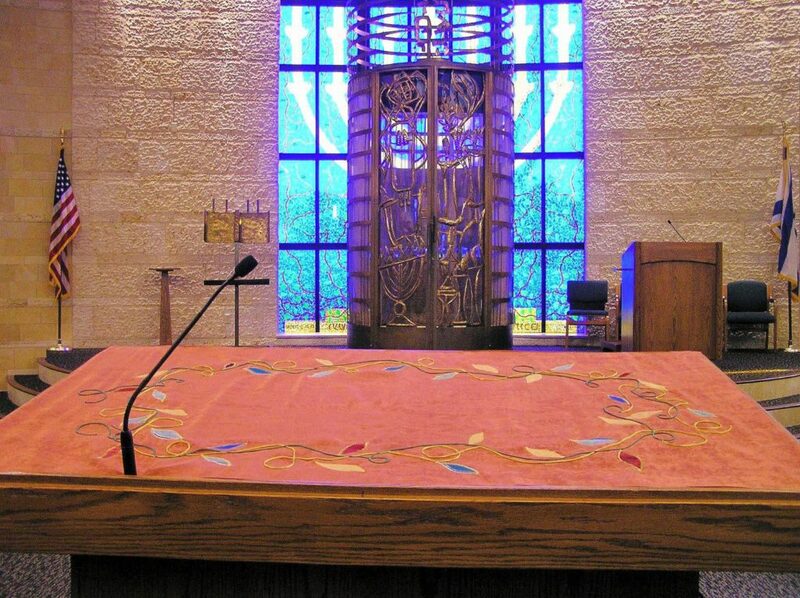 We design and create beautiful Bima Covers for the reader's table, Bein Gavrah (a covering for the Torah in between Aliyahs) as well as covers for the lectern (Amud). 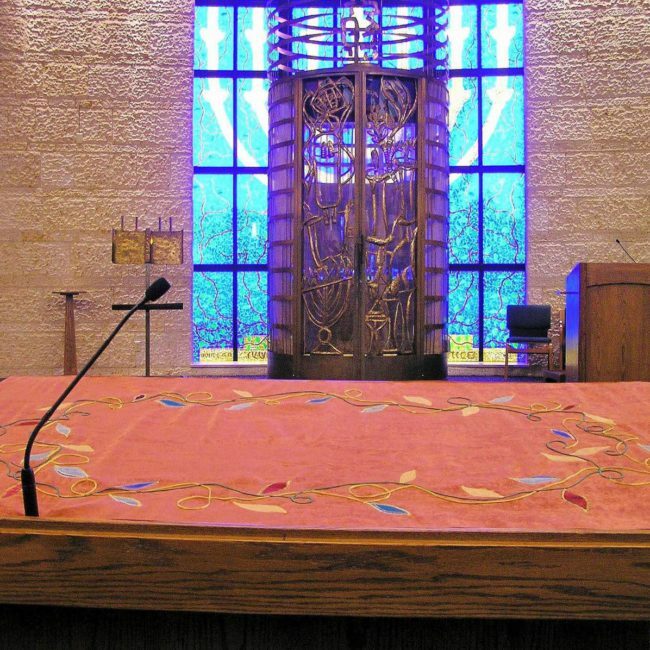 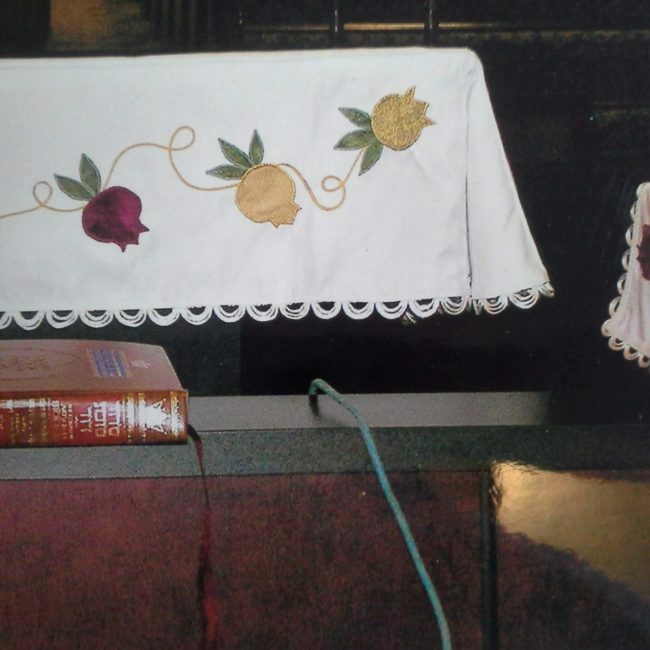 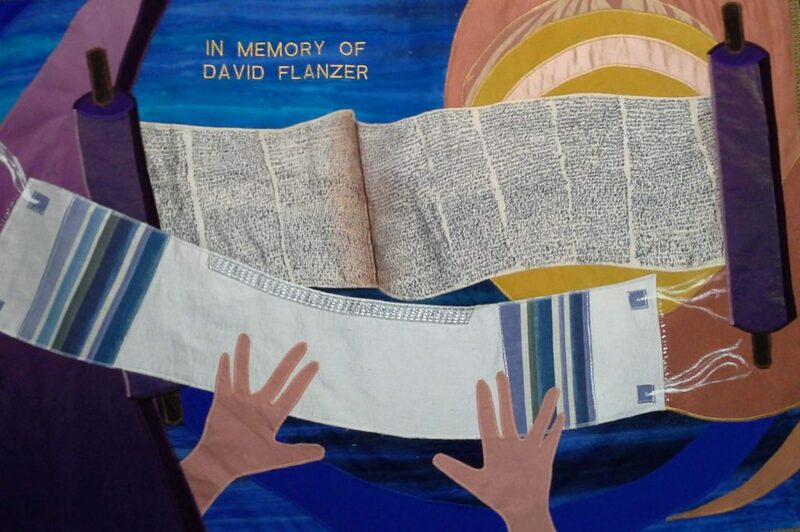 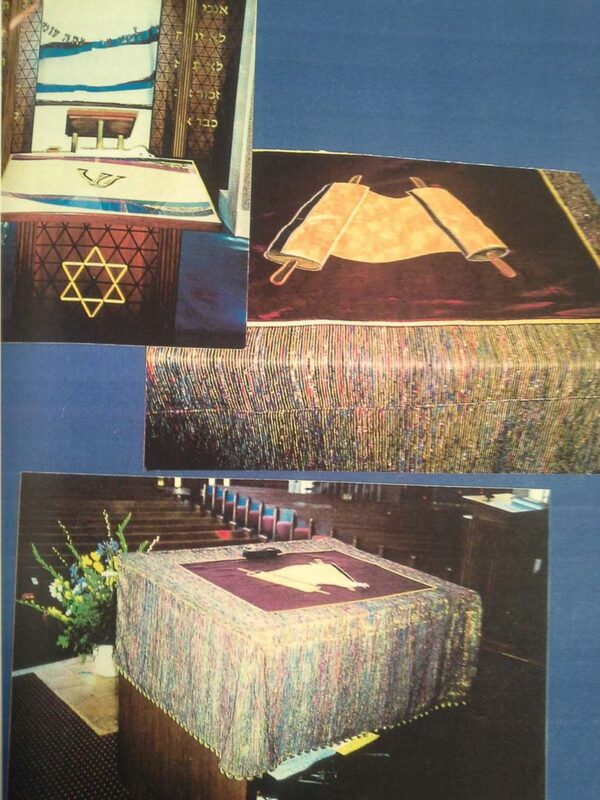 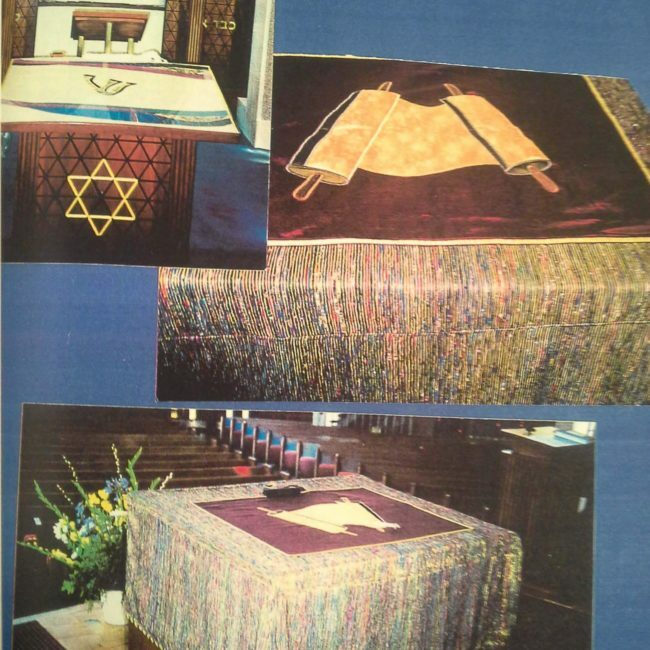 This custom Readers Table Cover was designed to honor the memory of David Flanzer z”l, who often read Torah. 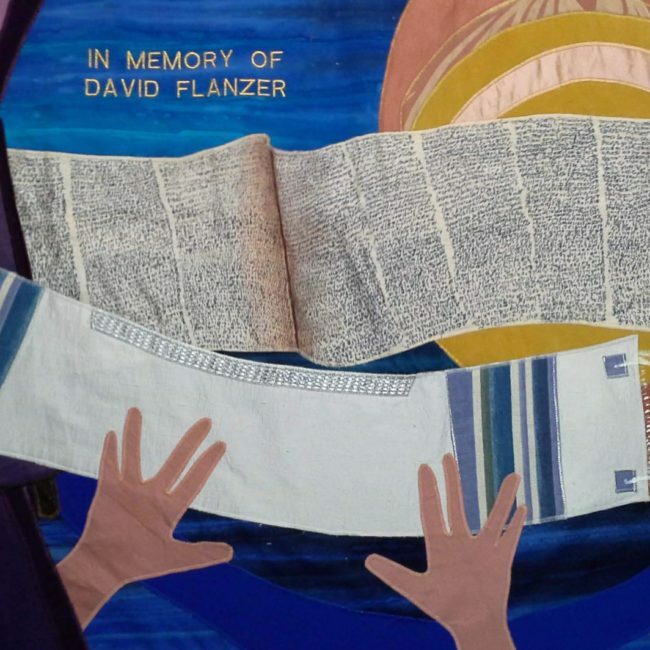 The hands depict that he was a Kohain כֹּהֵן.